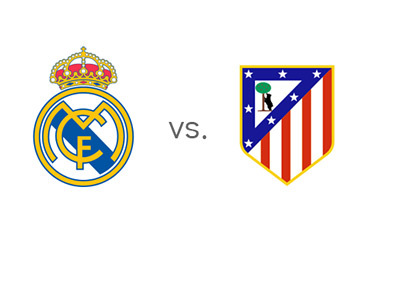 Two fierce city rivals, Real Madrid and Atletico Madrid, will face off in the seventh round of Spanish La Liga on Saturday, September 28th, 2013 at Santiago Bernabeu. Real Madrid are currently in third place with 16 points and Atletico are in second place with 18 points, level with Barcelona who have also won six out of six league matches so far this season. In their last match on Wednesday, Real Madrid squeaked by Elche with a last minute 1-2 victory. In the two games before, they comfortably beat Getafe 4-1 and destroyed Galatasaray 1-6 in Istanbul in the UEFA Champions League. The beating of the Turkish side was so severe that Galatasaray had to fire their much celebrated coach Fatih Terim. Atletico Madrid are in great form at the moment. After beating Zenit St. Petersbourg 3-1 in the UCL, they beat Valladolid 0-2 away and most recently, Osasuna 2-1 at home. Diego Costa is on fire for Atletico having scored 7 La Liga goals already. The upcoming Madrid 'derbi' always means something, but this time around it means a little bit more. After not being able to defeat Real Madrid for 14 years across all competitions, Atletico finally beat 'Los Blancos' last season with the score of 1-2 in the Copa del Rey final. Real Madrid will look to avenge the loss that left them trophyless last season, while Atletico are going into the upcoming match with more confidence than usual having already broken the ice. The hosts are the favourites to win on Saturday. A 100 € bet on Real Madrid could return 61 € in profit, while the same bet on Atletico Madrid could return 400 € in profit. The most likely score, according to the odds is a 1-1 draw, offered at 8/1. Cristiano Ronaldo, who has scored six goals in six games for Real Madrid so far domestically, is the favourite to score at 1/4 (bet 100 € for a chance to win 25 €). David Villa and Diego Cost are the favourites to score for Atletico at 11/4 each (bet 100 € for a chance to win 275 €). Gareth Bale, the world's most expensive player, is looking to start the match for the first time in front of the home crowd. The odds of Bale scoring on Saturday are 5/4 (bet 100 € for a chance to profit 125 €).